People think that Magnetic Resonance Imaging will reveal the source of their back pain. In fact, sometimes an MRI can do MORE damage on top of the back pain, if it adds fear to the equation. Patients have been told that the discs in their spine are like torn jelly doughnuts and the jelly has leaked out. If you're not careful you might squish out more jelly, or you might rupture another doughnut. MRIs can reinforce the patient's belief that something about them is truly fucked up, which can lead to fear-avoidant behavior, which can lead to a ruptured life with joy leaking out. Cue the anxiety and depression. 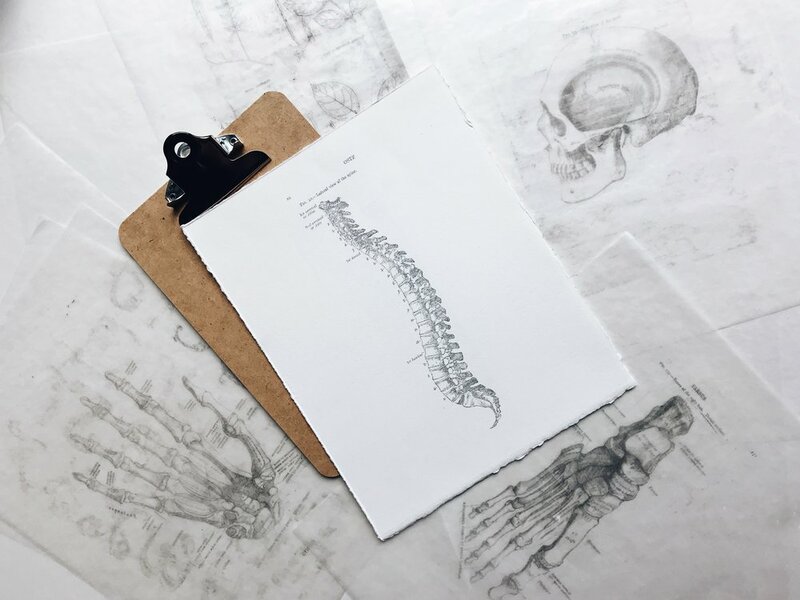 In 1990 Scott Boden, orthopedic surgeon and spine researcher did a study of 67 patients who DID NOT SUFFER from back pain. He found that 90% of them had degenerated or bulging discs while a third had herniated discs and a fifth showed evidence of spinal stenosis. These people had no pain! Conclusion: Spinal Abnormalities are totally Normal! Which means that the pain is usually coming about some other way, and usually needs a solution other than injections or surgery. What most people need much more than an MRI is to go DIY with imaging their back. This might seem like a stretch to you, but hear me out. Going DIY means forgetting all the fancy machinery for a second, lying down on the floor and using your innate, tho probably under-developed kineasthetic sense to generate a self-image of your back. Like how does your back seem to you? I mean, yes, it's painful, but is there anything else? Can you picture your spine in your imagination? 3. Your self-image can CHANGE - if it feels messed up, you can do some movements to make it better. Do-It-Yourself-Images allow you to become the expert of your own problem as you learn to influence and be influenced by your own automatic processes around the functioning of your spinal structure. The reality is that USING YOUR OWN IMAGINATION is a far more effective way to approach back pain than using MRIs. Once you have a workable self-image you can learn your way out of pain. This puts the power back with you.